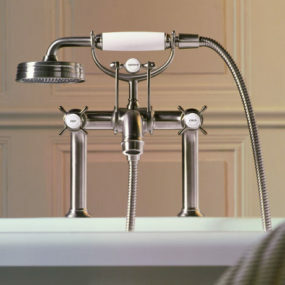 Looking for a “very manly, muscular man’s faucet”? 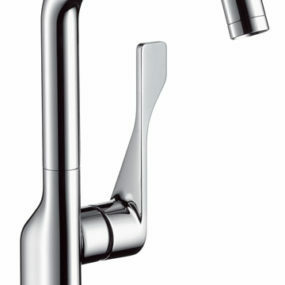 Hansgrohe does it best with its new commercial style kitchen faucet, the Axor Citterio Prep Faucet. 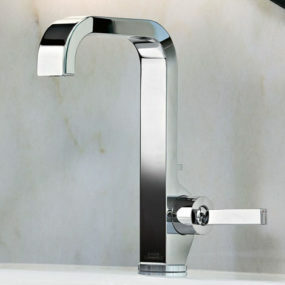 This stylish kitchen faucet has got brawn and beauty, packing quite the punch into a new, smaller frame. 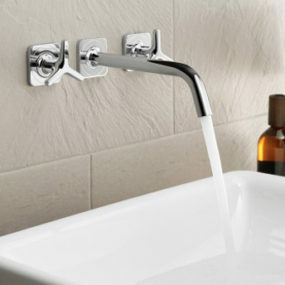 The faucet measures approximately 15 inches high, with a spout that extends seven inches from the base. 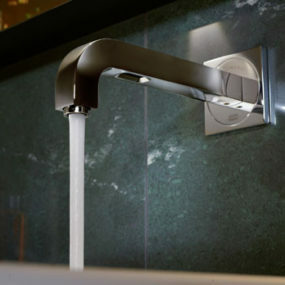 “The new prep faucet’s smaller, stylish proportions help make food preparation easier in tighter kitchen spaces,” says Nicolas Grohe, Director of Product Development and Marketing for Hansgrohe in North America. 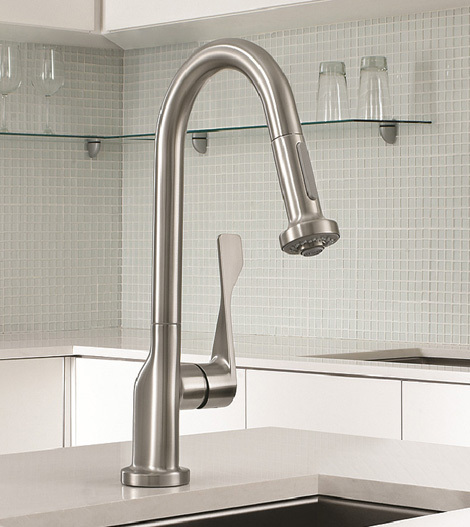 A sleek spout and single-lever controls deliver simplicity and a strong, masculine presence to any style kitchen. 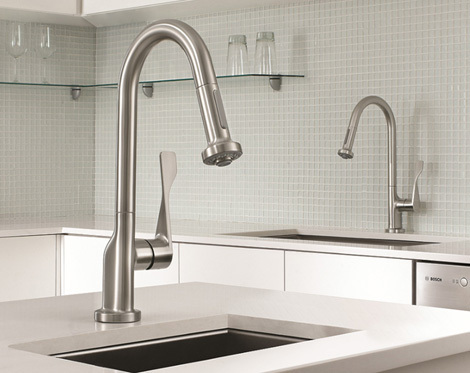 As an addition to your existing culinary essentials, this commercial style faucet is an ideal secondary faucet for installation in the island or wet bar. 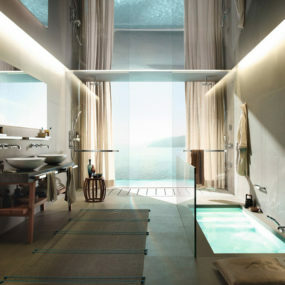 Entertainers and the chef of the house shouldn’t be without it. 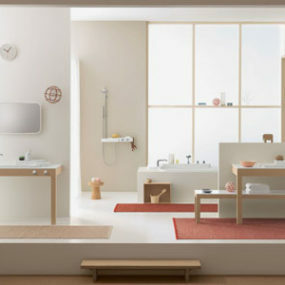 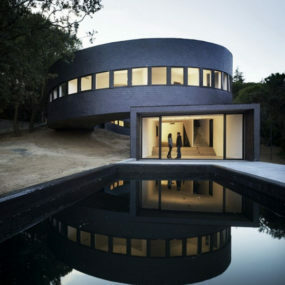 For more information visit Hansgrohe.